The Apartment Downtown KLCC, a restaurant I've not managed to fine at before, so I snapped at the chance to try out their new menu the other day when it was launched. 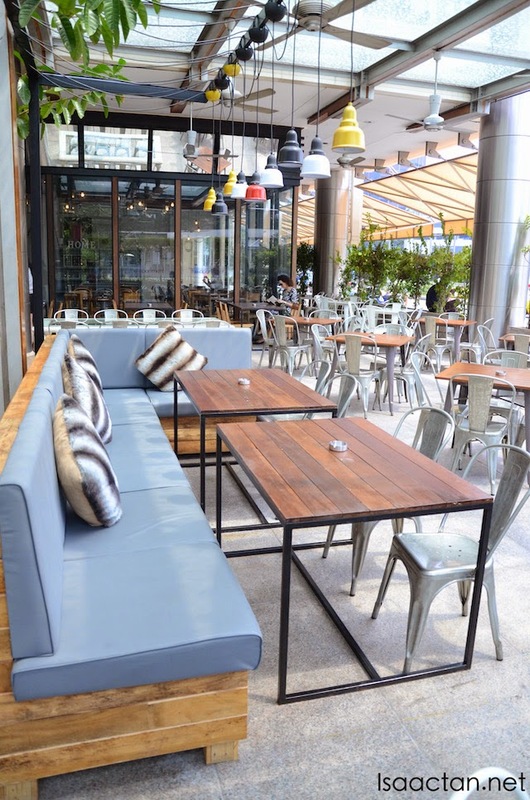 Do check out my previous writeup on their other branch at the Curve (The Apartment @ The Curve) . The Apartment Downtown KLCC recently unveiled an exciting new look, menu and cocktail & champagne bar. 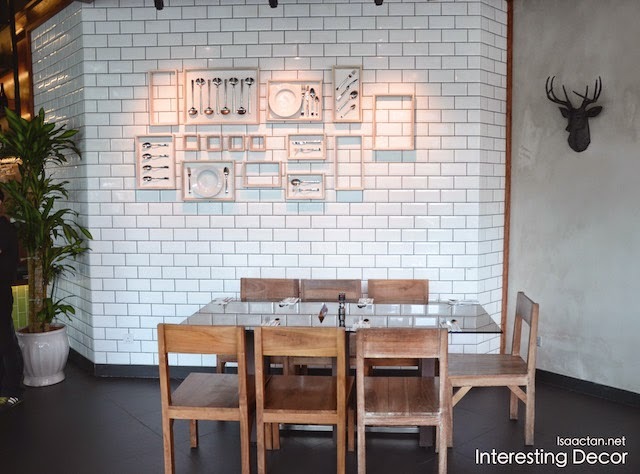 Featuring a European styled dining concept, infused with Asian flavors into a contemporary menu, the restaurant is a place where the formal and casual coexist. At the Apartment, there's a soft breeze blowing, the aroma of food and coffee in the air, holiday music playing, the promise of delicious things happening in the kitchen, and cakes showing off in the glass cabinets, promising a sweet ending to the meal. Here is a place to kick off your shoes, relax with friends or family, and share the joys of the everyday and special occasions. Arriving at the newly renovated Apartment Downtown in KLCC, I was pretty intrigued by the location just in front of the KLCC lake. Perfect for that afternoon meeting over lunch with business colleagues, or a comfortable dinner after work with family and friends. The decor inside reminded me of how an apartment would look like, with different corners having slightly different feel and theme. The one here at KLCC in comparison to the Curve branch felt slightly more corporate-like. “The Apartment Downtown has been a popular destination for diners because of its modern infused dishes, warm interior and zesty spirit. It is a space to escape from the conventional restaurant culture, providing diners with familiarity and comfort in a formal dining setting. 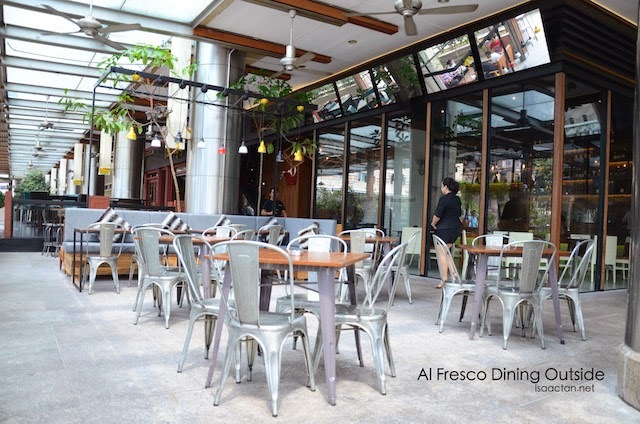 Diners can either organize a business lunch or celebrate special occasions with friends and family,” said Andrew Reddy, managing director of Chaswood Resources. An appetizer dish, which came in a rather large platter, the Korean Sticky Fried Chicken had to be one of my favourite that afternoon. 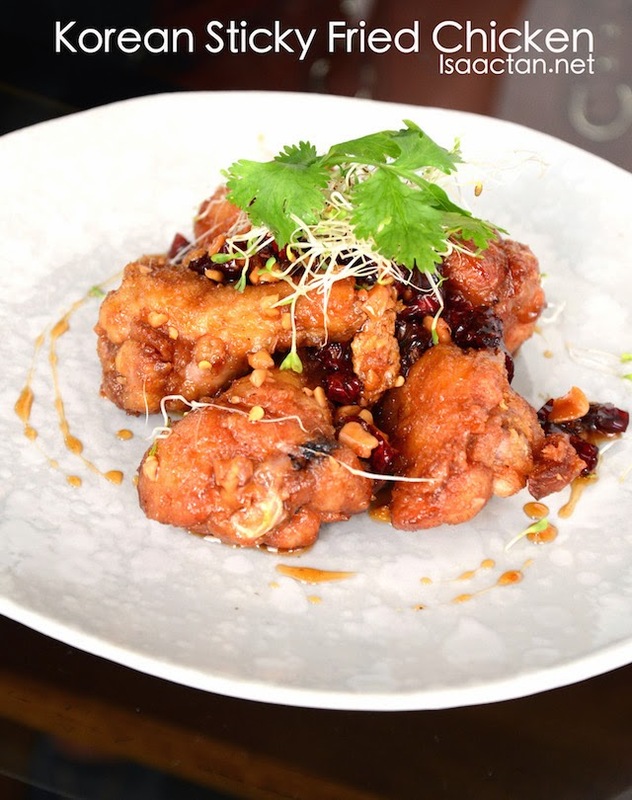 The tender chicken pieces were coated in sweet and spicy Korean sauce with chopped salted peanuts everywhere. I like the crunchiness, and the flavour of the suace. 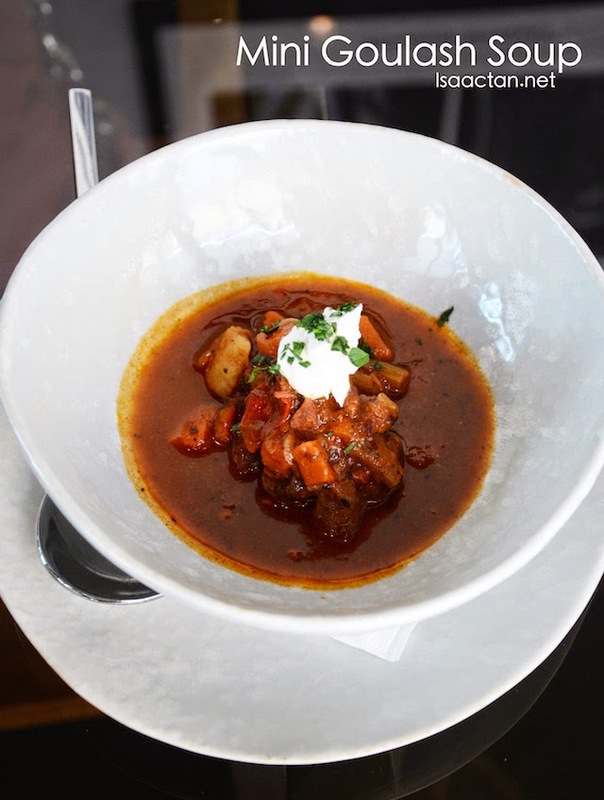 We had single serving dishes for the Beef Goulash Soup, hence the 'mini' word in the description. The full dish had a larger serving consisting of rump of steak simmered in paprika-beef broth with carrots and potatoes. On the top, they placed a dollop of creme fraiche. 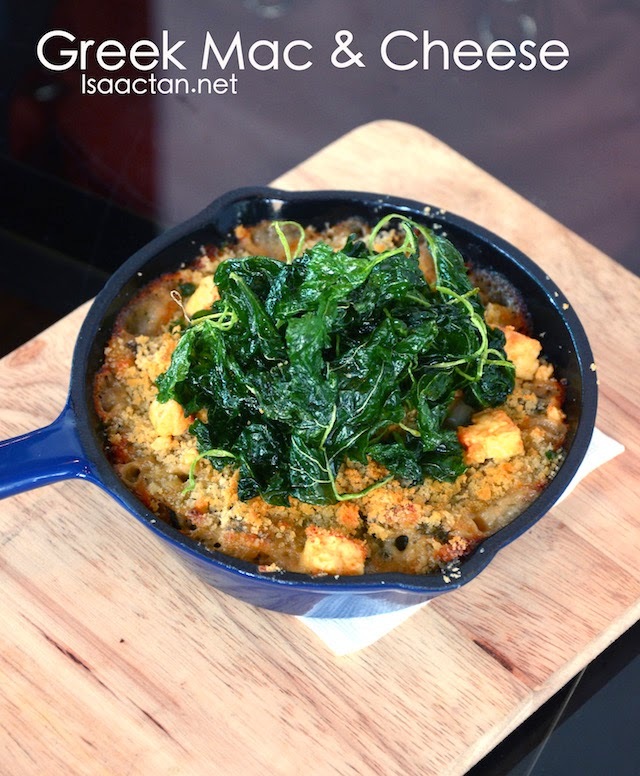 A savoury yet satisfying dish, it did whet our appetite for the main dishes to come. Up next was a very cheesy dish, aptly named the Greek Mac & Cheese consisting of macaroni in a creamy sauce served with roe on scallops flavoured with smoked salt, Sarawak pepper and lemon. Served hot, this dish must be taken while its hot to enjoy that burst of flavour. 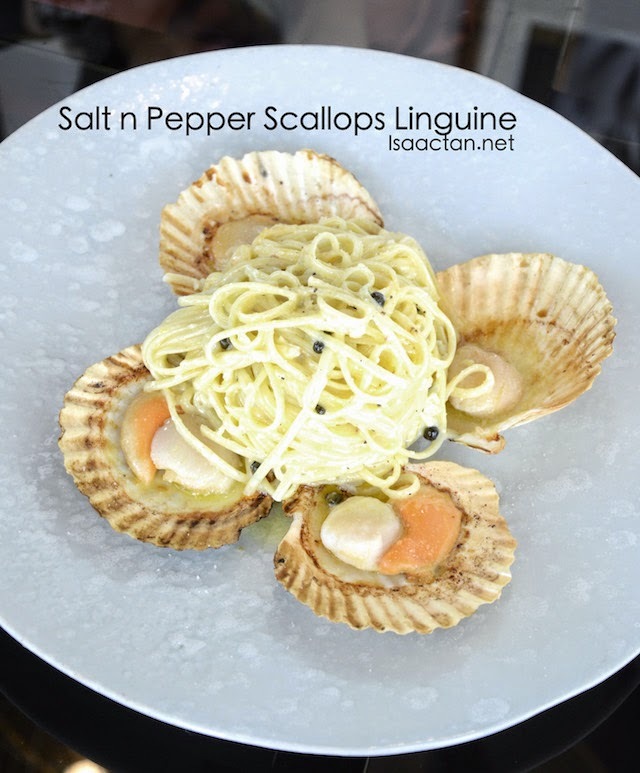 Scallops galore, being the main ingredient in the subsequent two dishes, namely the Silky Scallops and Tofu dish, and the Salt & Pepper Scallops Linguine. Only the freshest scallops were used, giving out a silky smooth texture. The two dishes had ample flavour and taste to it, being on the healthier side of things without being too heavy on taste. 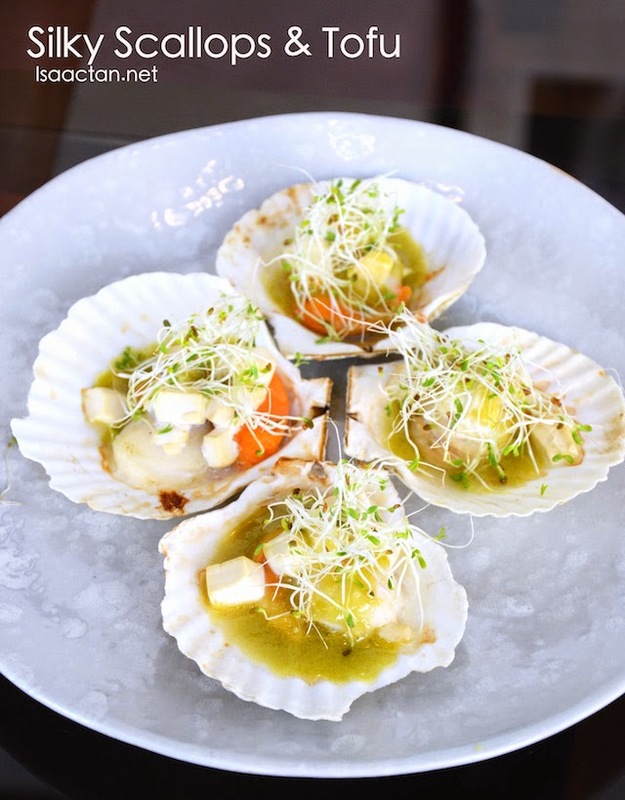 I personally felt the Silky Scallops and Tofu dish is the perfect dish for those on a diet, consisting of tasty scallops and roe baked tofu, topped with soy wasabi butter. 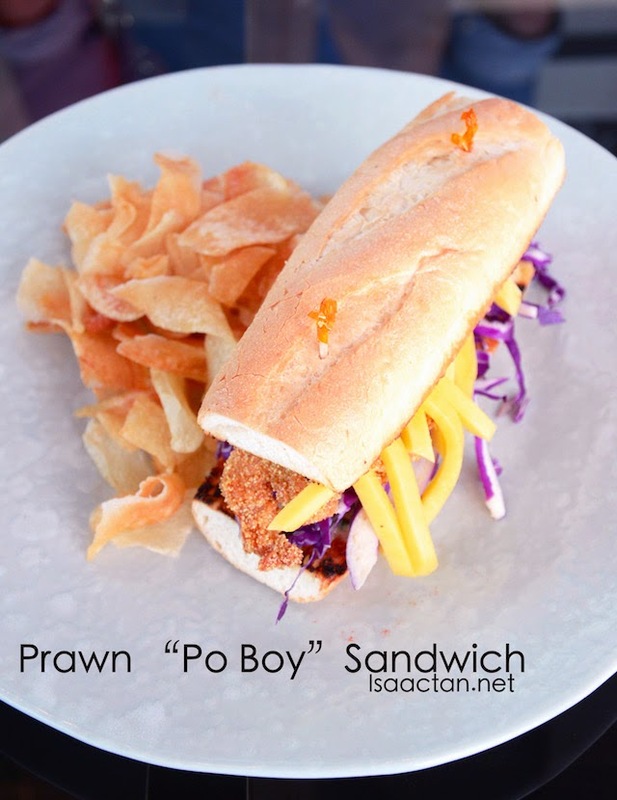 It has been a while since my last prawn filled sandwich, and The Apartment Downtown's Prawn Po Boy Sandwich is a great new addition to their menu. In between the lightly toasted baguette was the breadcrumbs and cornmeal mayo coated prawns with sliced mango and red cabbage. Inside they had these spicy mango mayonnaise which really brought out the zing in the taste. 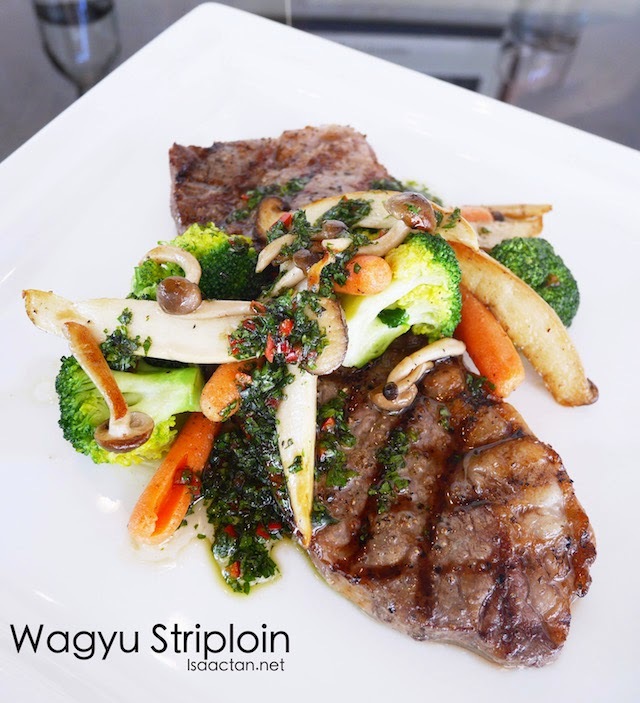 I'm always on a look out for a good piece of steak, so even though their Wagyu Striploin wasn't part of the new menu, I just had to try one for myself that afternoon. Seared wagyu australian meat with a marbling of 6-7, served with sauteed eryngii and mini king oyster mushrooms, root vegetables and corander salsa verde, this huge slab of meat left me all satisfied and happy. 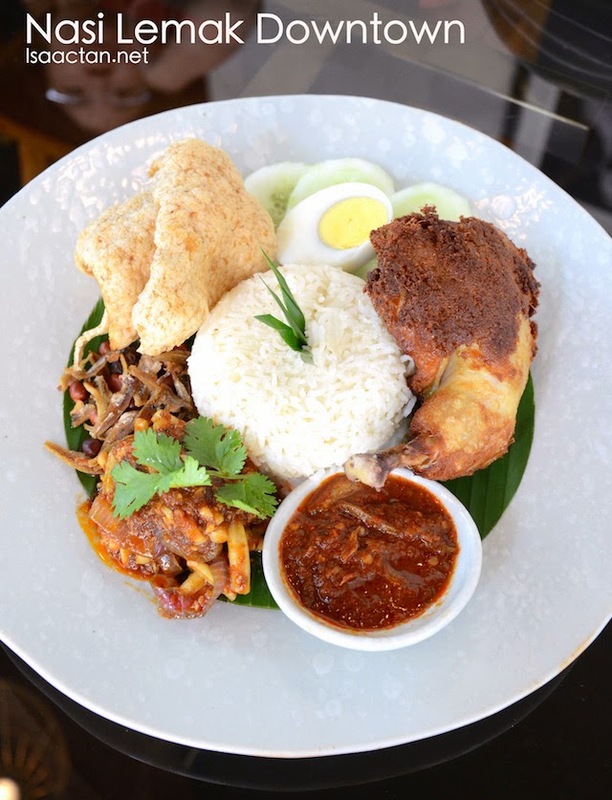 Interestingly, The Apartment Downtown added this Nasi Lemak Downtown dish into their latest menu. I'm sure everyone will be happy with this Malaysian favourite, served with spiced chicken thigh and spicy squid sambal on the side. Not bad at all, considering The Apartment served mostly western fares. 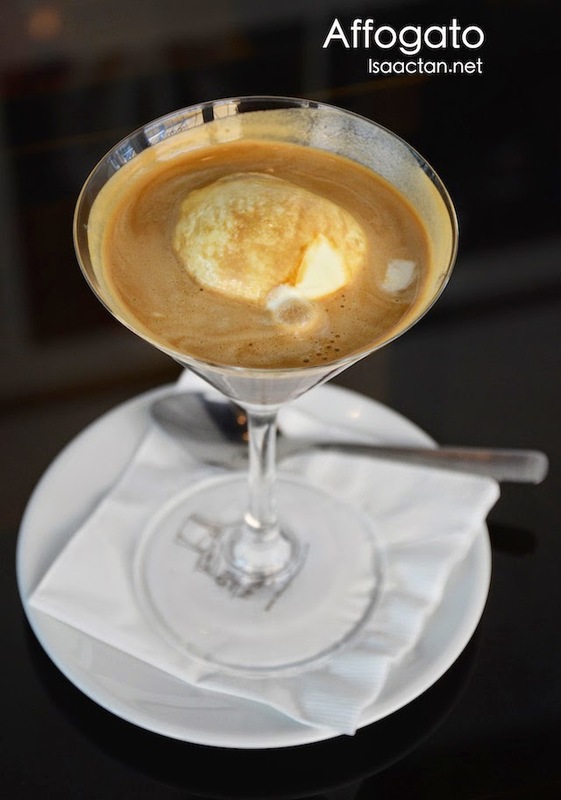 My afternoon affair with The Apartment Downtown Suria KLCC ended with a shot of espresso in their Affogato dessert. It was really good with that kick inside the sweet ice cream that I love. 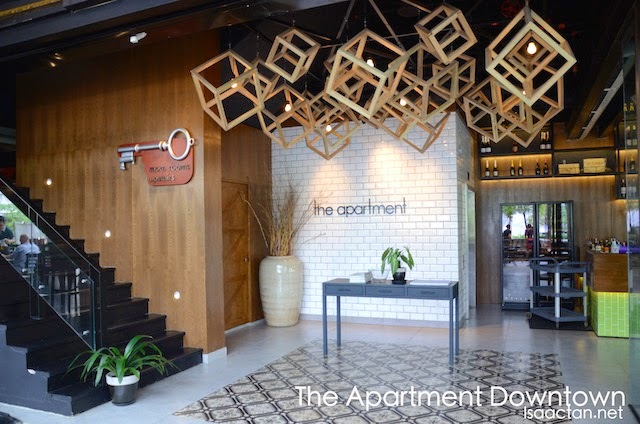 Do drop by The Apartment Downtown the next time you're in the vicinity of Suria KLCC be it for shopping, or business meetings. They do serve some pretty good food! As a new feature, the champagne bar features a range of bubblies from Henkell (German) to Deutz (French). The boutique selections are harvested from biodynamic viticulture. Complement your sparkling with a wide selection of oyster and seafood, and you’re set for a wonderful evening. For those who prefer cocktails, The Apartment Downtown will be serving its own home mixes such as Tokyo Snow, ‘New Orleans’ French 75, Pedro’s Revolver and Herbal Gin & Tonic. The difficulty will be in deciding which to order. Nice looking place but price omg. I fainted.